Rome offers a lot more than a customary trip to the Colosseum, the Pantheon or even to the Vatican, although you should definitely indulge in all of them. They are ancient monuments of great historic significance. In fact, our Vatican & Colosseum Tour can help you plan the best Roman holiday. But, the truth is that there’s so much more to see and explore in the Eternal City – a city teeming with rich artistic heritage, divine food scene and dolce vita lifestyle – that it becomes imperative to dodge the clichés, go the offbeat way and absorb all the different flavours the city promises of with all its glory, beauty, bedlam and surprises! For a more authentic experience, plunk down in one of Rome’s gorgeous neighbourhoods and soak in the local vibes. 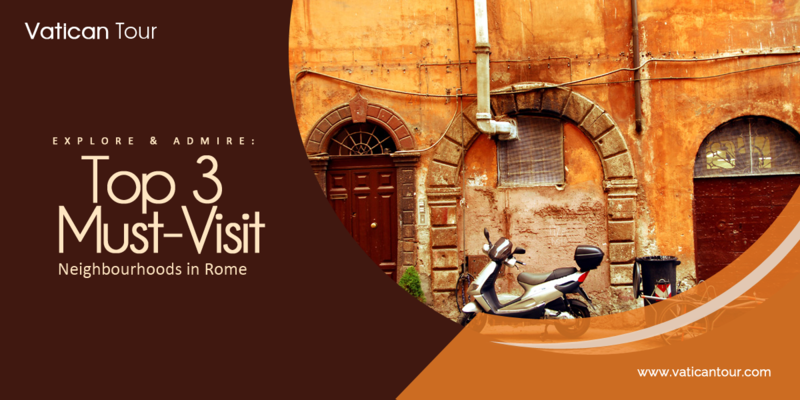 This is the best way to savour its provincial culture and taste the real Rome. 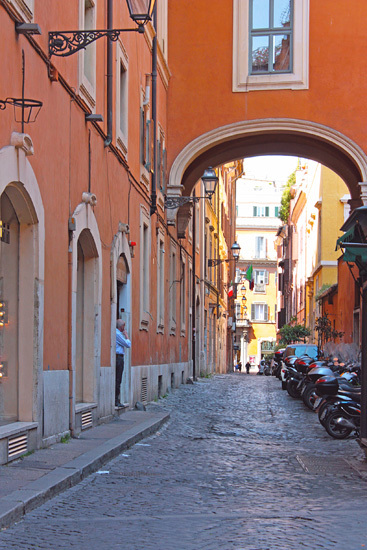 As a result, below, we have rounded up three of Rome’s molto bello neighbourhoods – track them down, wander around and inspect all their hidden allure! 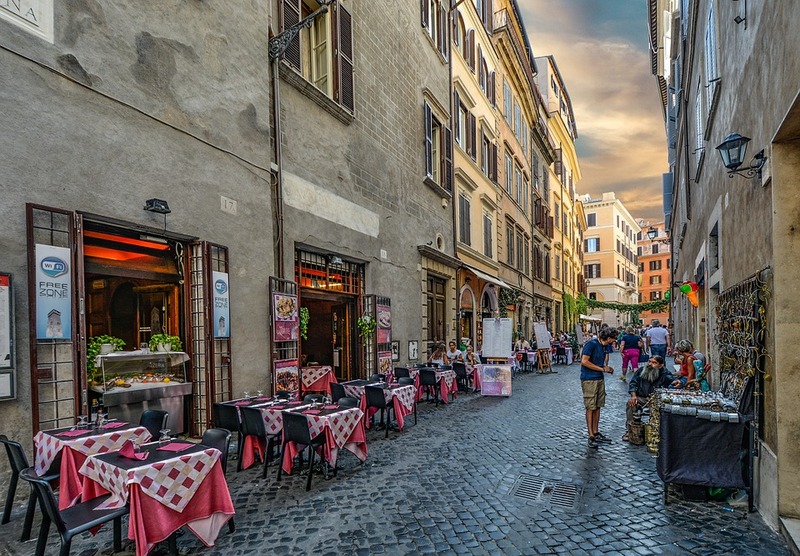 Bounded by the Colosseum on one side and Via Nazionale on the other, Monti is a charming neighbourhood of ochre-washed facades, meandering cobblestone lanes and bustling piazzas. It is centrally located, distinctive and extremely picturesque. Replete with artsy boutiques, kitschy restaurants and intimate wine bars, the enclave resembles a quaint little village, which teeters back in time. Piazza della Madonna dei Monti is the central hub of the neighbourhood – start your day in one of its several bistros or cafes and saunter over to an ivy-clad spectacle, La Casetta, one of the most Instagrammable houses in Monti and a buzzing bistro. As for shopping, explore the Monti Vintage Market, it’s an excellent place to find some unique pieces of jewellery, clothing and gifts. Nestled below the Aventine Hill, Testaccio is a profound Roman neighbourhood where history runs down deep. It ushers you in a wonderful time-warp. At a glance, the antique rubbish dumb, an abandoned giant slaughterhouse and a few outlandish monuments might put you off, but Testaccio’s overlapping layers of history is unique and on-point intriguing. 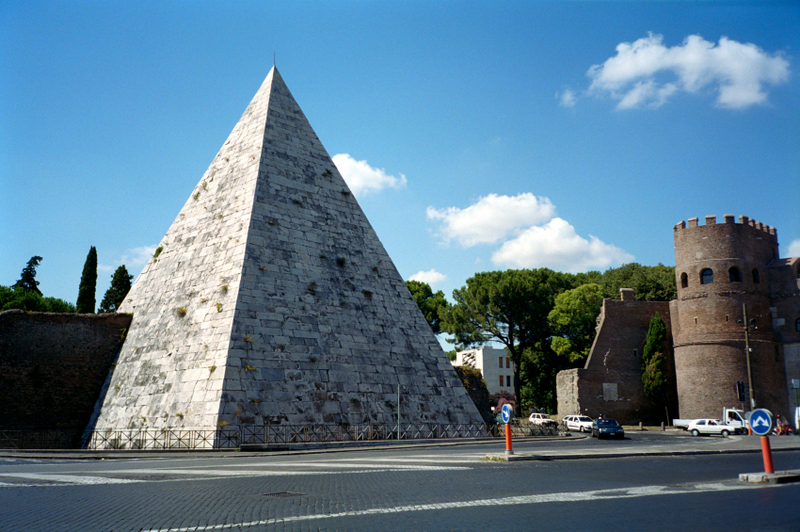 If you walk around, you will discover the Pyramid of Cestius, which was built around 18 to 12 BC, Ex-Mattatoio, which was once the largest slaughterhouse in the whole of Europe and the famous Protestant Cemetery, where the graves of English poets, such as Percy Bysshe Shelley and John Keats are found buried within. The slaughterhouse, a sprawling complex has now been turned into a cultural sanctuary, housing a contemporary art museum, known as MACRO, an organic market and a Michelin-starred restaurant. Besides, Testaccio is decidedly modern and an obvious hangout choice for creative junkies and art-lovers. Also, the food scene is diverse. While passé trattorias and funky street food joints offer a dazzling selection of authentic Italian dishes, the pristine Flavio al Velavevodetto scores high for its spectacular setting and unique culinary experience. 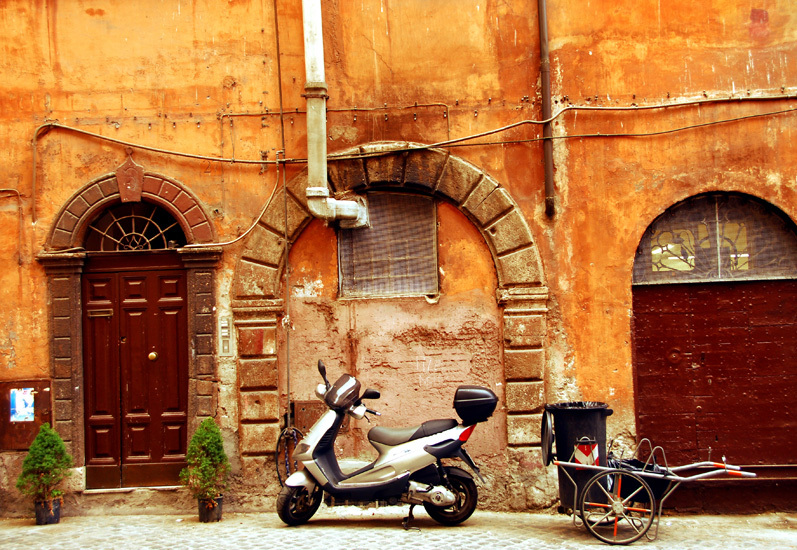 Tucked in the other side of the Tiber, away from the humdrum of the city centre, Trastevere is one of the most whimsical and colourful districts of Rome dashed with a feisty art culture. Gritty street art and imposing graffiti are found at every little nook and cranny. 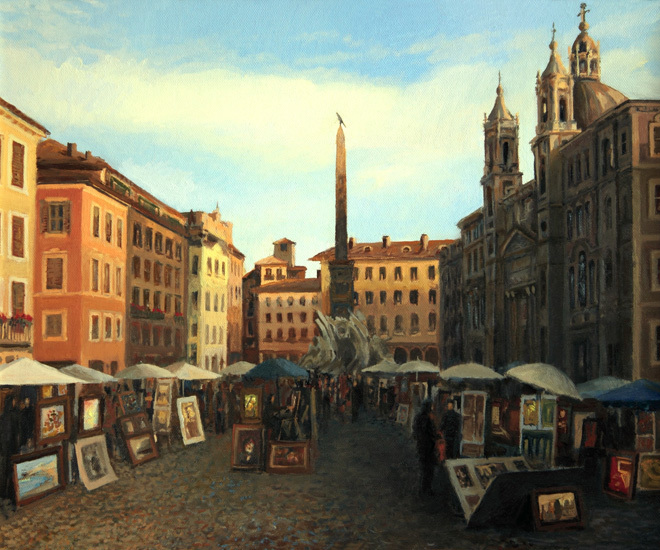 Explore its main avenues, side alleys, crumbling buildings and even shuttered bars while heading towards Piazza di Santa Maria – in all of that, you will find traces of beguiling artworks resulting in sensory overload. Moving beyond art, Trastevere boasts of a heady nightlife and an array of trendy wine bars – once the sun goes down, the sleepy village-like neighbourhood is radically transformed into a maze of vibrant nightclubs and bars where young local blokes and foreign students pick their drinks for the night. The drinking scene is dynamic; there is no dearth of options to quench your thirst or hunger. Even, excellent dining options (with kitschy outdoor seating) are available. Some of the popular places worth trying are Da Corrado, Ma Che Siete Venuti a Fà and Freni e Frezioni. However, if you want to follow the conventional route and admire Rome’s most iconic structures and landmarks, we recommend our Vatican and Sistine Chapel tours. With professional guides and skip-the-line facility, they ensure you one-of-a-kind experience.